I am def guilty of taking a brigade with me as CinC. And yes it detracts from that role. 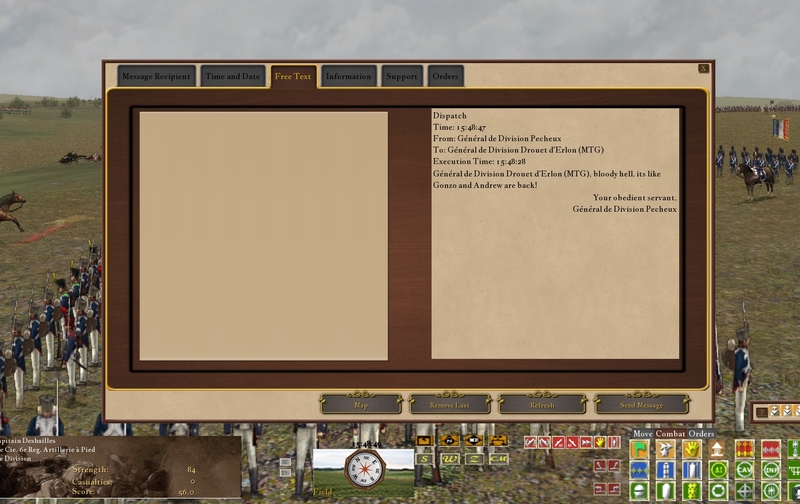 I do it because (1) its just fun to have some cavalry to hit with and (2) it makes me feel important with a personal CinC HQ detachment and (3) since we try to observe the 200 ard rule in terms of limiting commanders in scouting it allows me to speed up the scouting process because I can range far ahead. 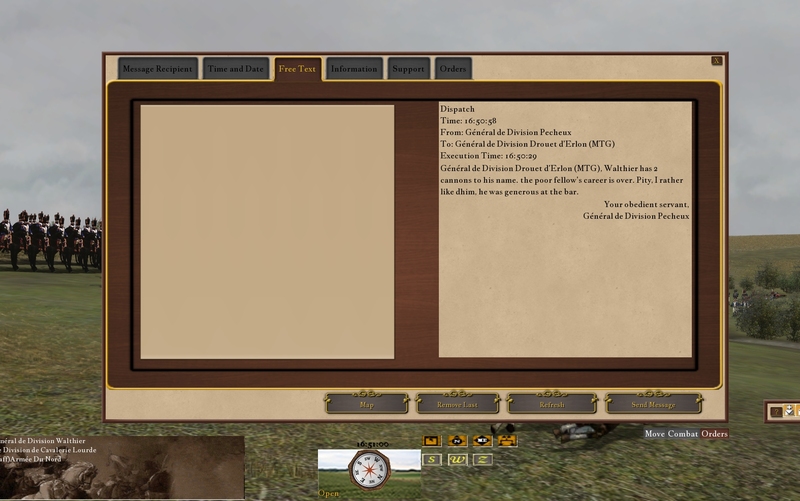 Waiting for scouting reports from brigade to division to corps can eat up time in even a 3 hour game if the objectives are far enough away and far enough apart. This way I get a picture faster. And yes I will often swing something wide around a flank (aka 19th century foot-panzers) when the initial setup lends itself that way. I know I got a little lazy. The AI is now at a point when one has to be a little more careful. The difference between say last year and right now is marked. In Wednesdays game (nice to take a work break) I got a good feel for what it was like to get pummeled by an aggressive AI. Luckily I had Digby to arrive on my flank. Then of course we saved the day overall for CinC Kevin but THAT is another story. Like everything it is a tradeoff. This is a time-space-communication trade. 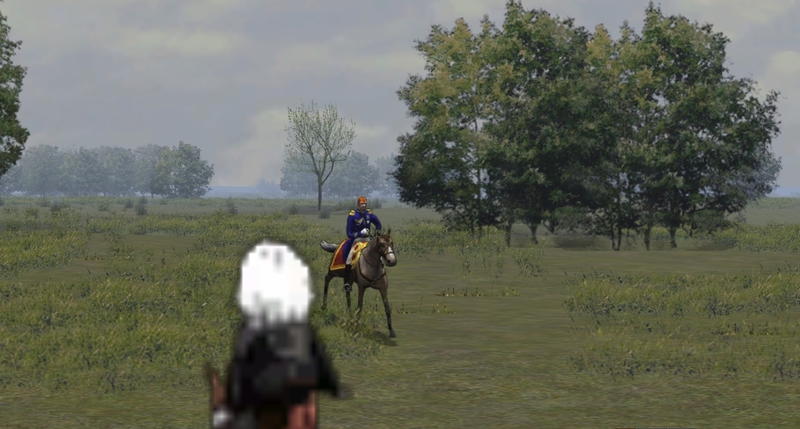 As we get more players online in our games it will be mentally easier for me to just stay on my CinC horse and eschew any attached cav formation on those days I am dumb enough to take on the CinC role. Some photos from yesterday's battle on Crikey's Blenheim-era Ramillies map. As I didn't have a lot to do in the game I found myself taking a lot of artsy non-combat shots. Its a really pretty map and Pom's buildings are just superb. Well worth fighting over. As I didn't have a lot to do in the game I found myself taking a lot of artsy non-combat shots. I believe this could be said of the entire Dutch corps. We Germans will have to pay a visit to your little country one day. I vaguely remember the Dutch being in the battle somewhere off to my Northwest. The French were chasing them I think, as I recall coming up behind the French to shoot them whilst watching what I assumed to be the Dutch. 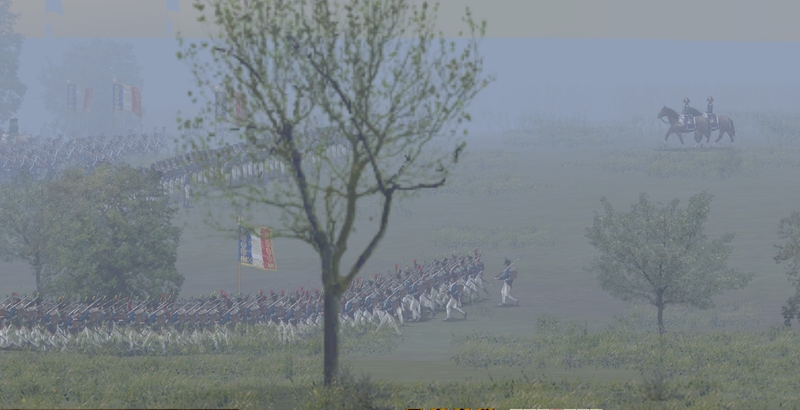 Then we got tired of shooting the French and decided it was time to take the objective. The locals served a very nice brunch for us. A pleasant meal despite the incessant noise of battle coming from our north. Of note: The smell of sulphur was in the air. Felt like we were in Costa Rica for some strange reason. I also wish it to be known that I complied with every order given my my corps commander, known locally as a Blucher lackey. But who did a competent job despite periodically telling me to do something I was already doing. I shall endeavour to knock up a scenario on the Blenheim map for Wednesday. These maps suit men in huge triangular hats and elegant long frock coats much better though. Yesterday we played our first game on Crikey's Blenheim map. 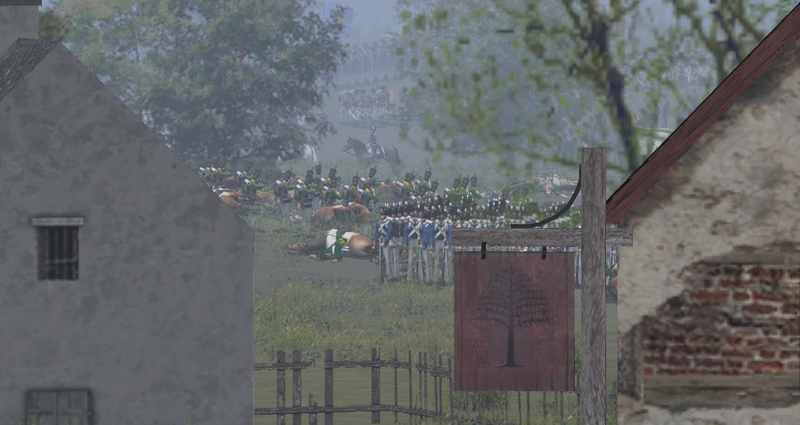 Despite the "completely unbalanced scenario" a huge corps vs corps engagement on rolling open terrain in the centre of the map in true Napoleonic style allowed the AI to hold off the player-commanded Austrian juggernaut long enough to buy time for the objective to survive. The fact the objective was inside a fortified city surrounded by a wide swamp was a moot point - the players had run out of time by then. We played on Crikeys Blenheim map which is superb, unfortunately almost the top 1/3rd is thick forest and the bottom 1/3rd is impassable swampy land around the River Danube, but there's several very nice towns and enough rolling terrain across the middle to encourage me to write more scenarios for this map. Martin James - you may find it useful to transport it to the Colonies and use woodland indians in it for a 1750s or 1770s game. The buildings are a bit Germanic but still have a slight Colonial feel to them. Once again that most offensive and annoying personage, the self-proclaimed Emperor of those meddlesome French, has plunged us into a war. Invading Bavaria the French have forced our Bavarian allies to change sides via a humiliating treaty and now they press down the Danube toward sacred Vienna. They must be stopped! They must be humiliated! They must be most soundly thrashed! At the town of Hochstadt on the Danube the French have pushed forwards an advant garde corps and herein lies our opportunity. 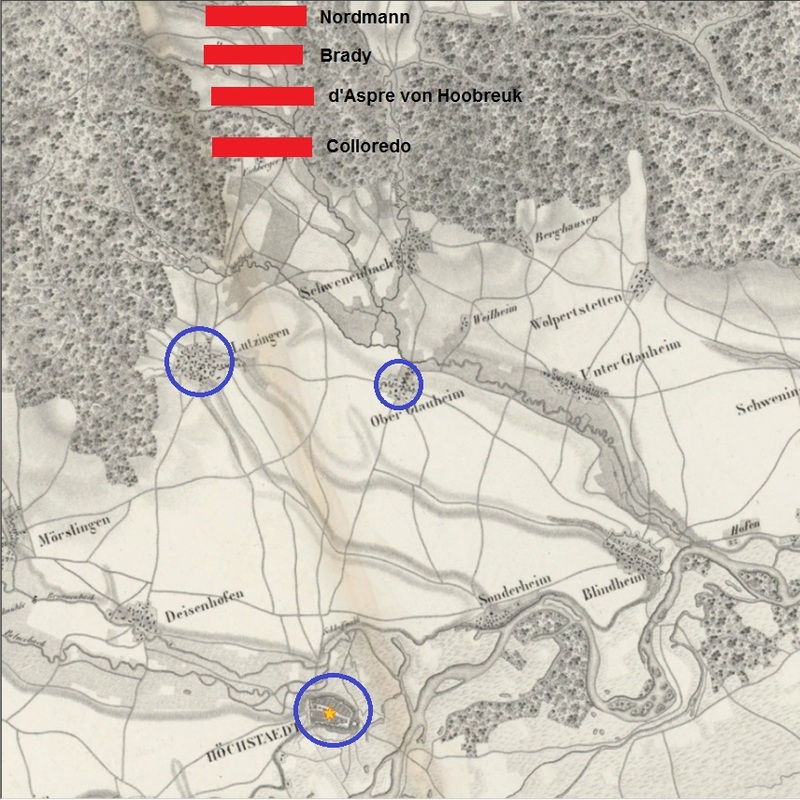 The armeekorps of Feldmarschalleutnant Prinz Reuss-Plauen is encamped only a few leagues north of Hochstadt and the Emperor has commanded him to make a rapid and aggressive assault on Hochstadt, recapture the city, smash the French thereat and close the easy corridor along the Danube to our implacable enemy. 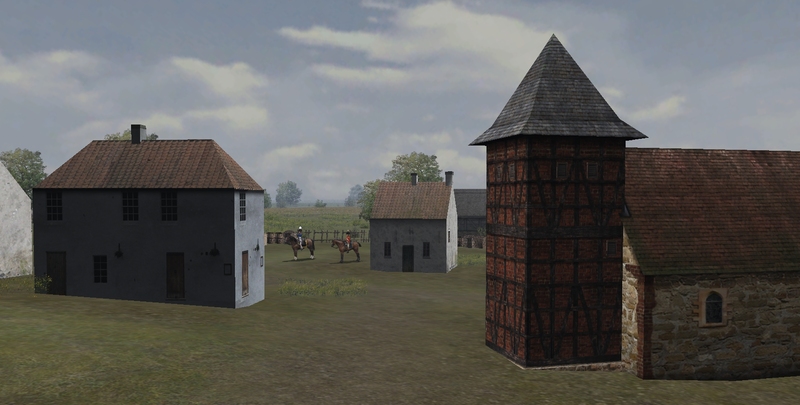 Our cavalry patrols have confirmed the presence of 3 enemy divisions at Hochstadt and peasants questioned on the road speak of "blue coats" at the towns of Lutzingen and Ober Glauheim, though in what numbers we cannot determine. The Nebel stream that drains south-east into the Danube at Blindheim as well as the bigger Kloster and Pulver streams that drain in a similar direction from Morslingen to Hochstadt lie in low areas of ground that are boggy and poor going for cavalry. Fortunately between these two water courses a wide open heath bare of woods and villages gives us a superb area to deploy our magnificent cavalry. The approach to Hochstadt itself is again very marshy and heavily wooded. The town will be problematic to approach. Advance south, deploying out of the narrow forest defile. 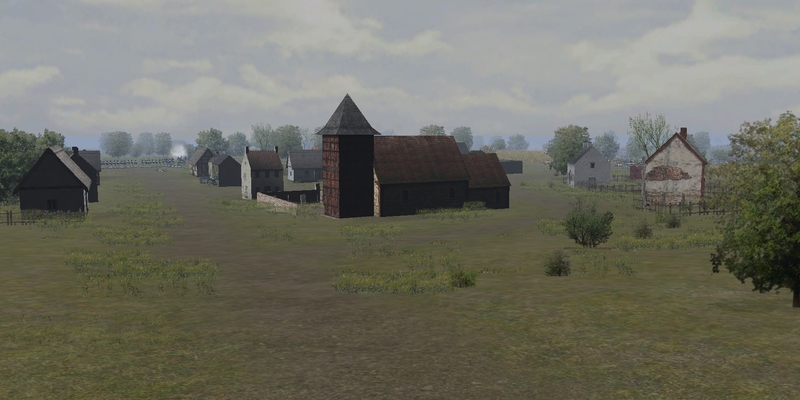 Strike hard and push out any enemy in Lutzingen and Ober Glauheim thus clearing a path to Hochstadt. Take the city by nightfall. I think that scenario is worth playing again. All we need is a new CinC, Kevin or Pat will do. Perhaps something similar but with an objective its possible to physically reach would be better! If I make Blindheim the obj that would work okay. I'll cook up something soon on this map. 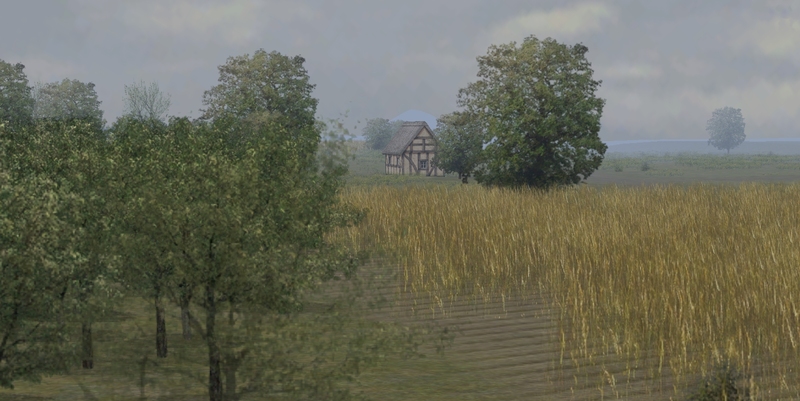 I'm adding Fontheim, Blindheim, Ramillies and Almansa to the mod. 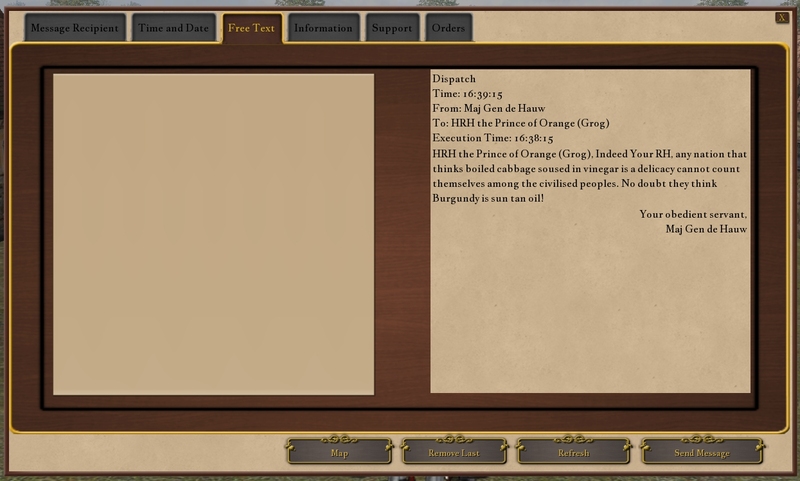 I've changed some of the defensive values so artillery fire is prohibited in the usual places. Kevin I got crashes when trying to use Almansa, both the Luzzara maps and the Schellenberg. Did you experience the same? Crikey has put fortifications into one of the Luzzara maps so that may be worth another look. 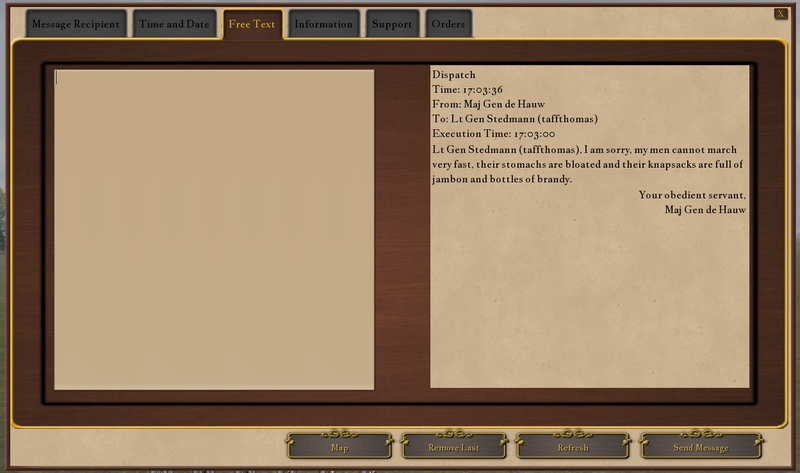 Yes, I had crashes on Almansa. It was a case of missing vegetation sprites. I put it into the mod and made it all OK for use. I'll take a look at Luzzara. It would be nice to have the Schellenberg working too. I don't see a lot of replay value in that map but I think it would make a fantastic map for a player vs player game, say 3 a side. It has a completely different tension to it, doesn't it? 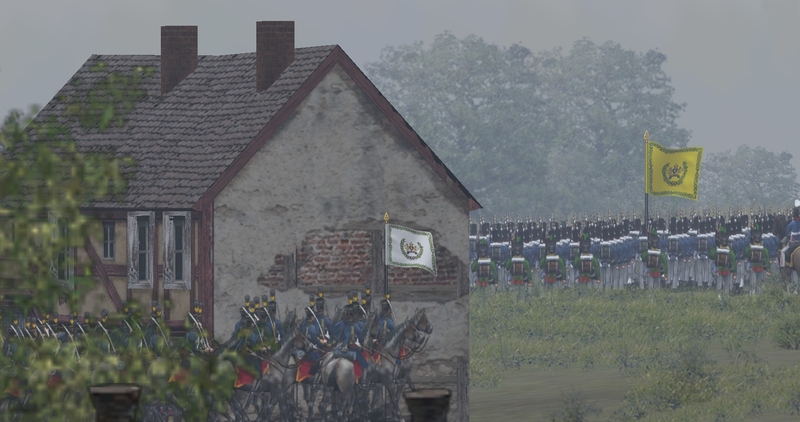 The British cavalry kept me on my toes almost the whole battle and one hussar regt broke through my line, crushed a skirmish unit and captured about 4 guns, that was a really risky few minutes. 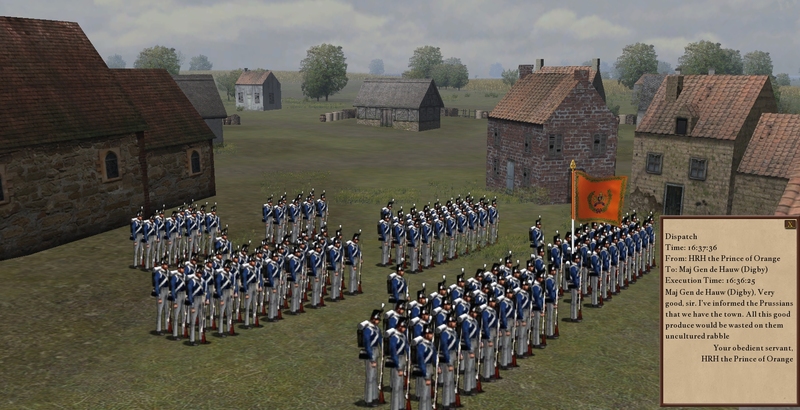 I was lucky to have the horse grenadiers of the garde in my division. They performed superbly, flattening everything that came at them. Saved my skin several times. Curt - you played extremely well, your position in the centre and your aggressive defence had me pinned on my opposite ridge line for about 2 hours. 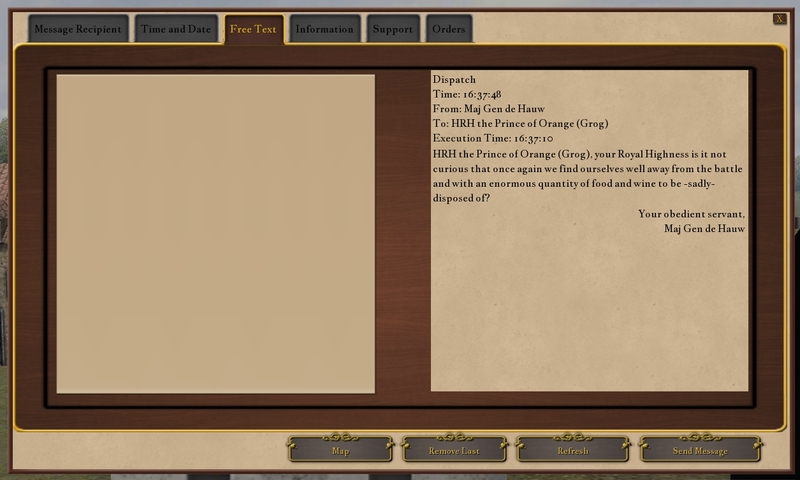 I think your mistake was attacking too much off your hilltop, all you really had to do was hold it - trying to throw me out of La Haye Sainte probably was your downfall. 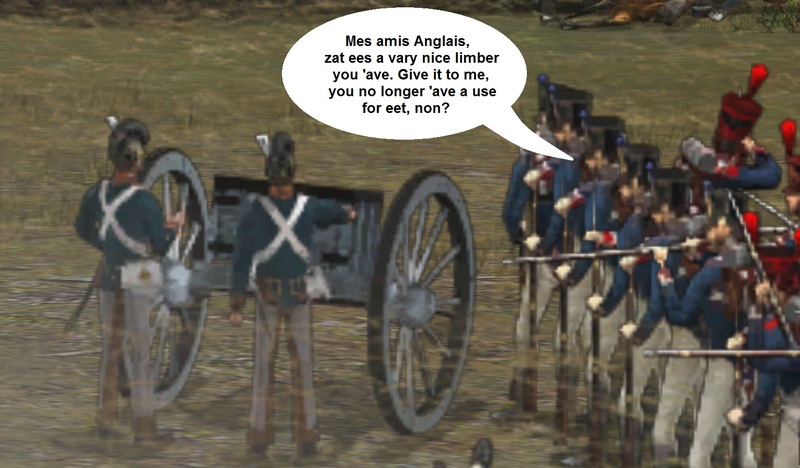 Next time, do a Wellington and hunker down, put as many of your troops out of each of the enemy guns on the reverse slope as you can and defend with guns, skirmishers and cavalry counter moves. Once again thank you guys for the invite. Given the tech issues and starting over an hour late I had an absolute blast. Double blind gaming is the ultimate and this mod makes this game the best I've ever played with nothing even close. 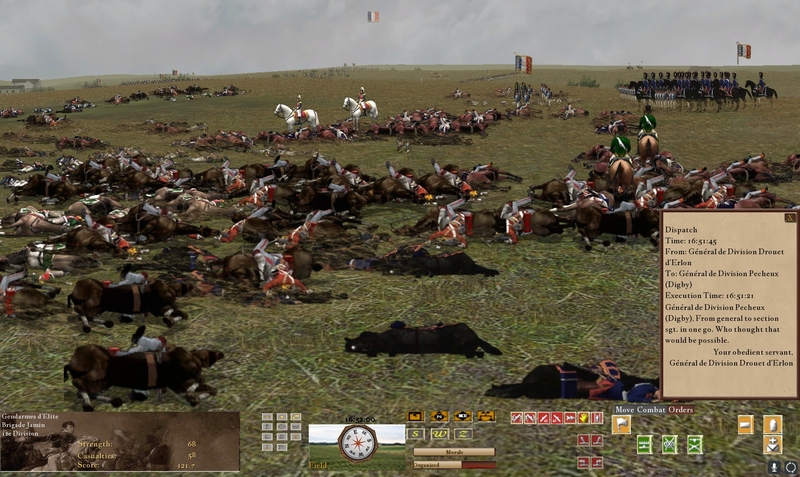 1) Holy crap the heavy French cavalry was devastating on ANYONE it caught outside of a square. I thought the French at La Haye Sainte executed combined arms, as well as anyone, could have ever done it. 2) I agree, my major mistake was in pushing on the farm when we had the objective. It was 1 part gaming and 1 part strategy. The gaming part? I had NO Idea that when I confronted the farm we ALREADY HAD the objective. I thought the farm was and that was why I asked at one point about being able to see the objective marker. I assumed it was 'in theory' because I did not see one on the way there. Had I known that I would have stopped just short of the road and parked up top and sent down a brigade or two to harass the folks inside and to keep your cavalry honest. 3) Uxbridge was a stud on my right. His cavalry stopped some insane swings of the pendulum early. I spent most of the latter half of the fight thinking he'd push past the farm and was infringing on the French left. 4) I realized too late that pretty much the entire French OOB was at this objective and was too invested to be able to pull back and do an end around. I'll play a few more games before the next session as I think much of my concern and issues are actually just game play mechanics. COMPLAINT: I gotta tell you the artillery thing was brutal. When I play HITS I refuse to EVER take over from the AI because it is so damned good. THat being said it was an ENORMOUS piece of my inability to check the French. I had a 9 gun battery that never deployed and refused to despite order after order. I'll take your guys advice next time on taking over. Also, why is taking over from the AI something needing to be delivered by courier? Seems weird. Guns can get skittish if you ask them to deploy too near an enemy. In your case you were in trouble because anywhere further away would have been partly down the reverse slope. I have had some success unlimbering at longish range and then bounding forward using the advance 100yds on the combat tab. I don't know the exact AI understanding but I find guns are happier with infantry close beside or behind them. Try not having your guns as the front unit when you unlimber as well, put an infantry unit forwards so the guns can deploy behind them. 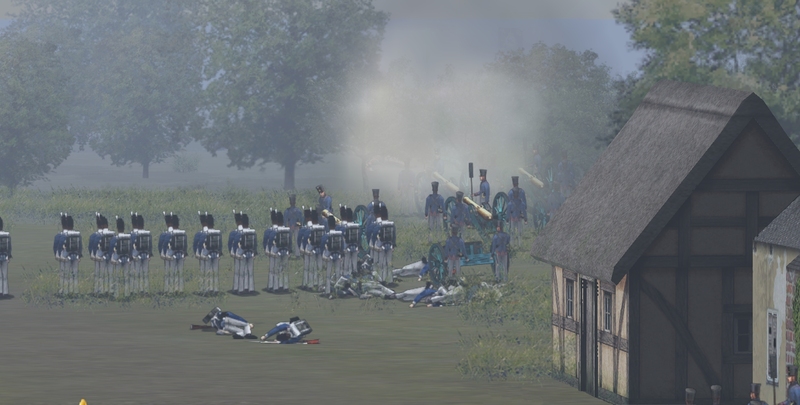 I took a fair bit of artillery fire in the game, on my left especially where I think either you or Morsey had a battery atop the high point of the hill. This did a lot of damage to a couple of my squares that were supporting Taff's horse battery and because of that battery I chose not to do any moves on the west side of the farm. Yep - always check the command map for where the objective markers are. They don't show on the 3D battlefield but they are marked on your map. "The History of Four Days, Three Armies, and Three Battles". Odd title; the campaign had 4 critical battles. Five if you count the less critical Charleroi. 1. It was not a good day for my division. 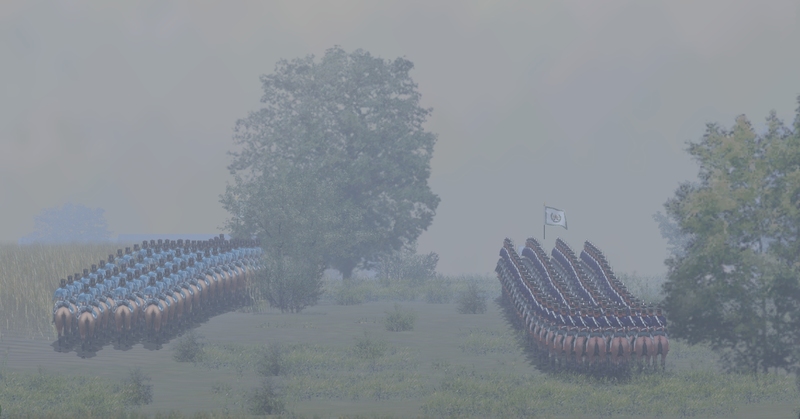 Forgetting my map reading skills for about 25 critical minites put my troops out of position as the fight built up. 4. 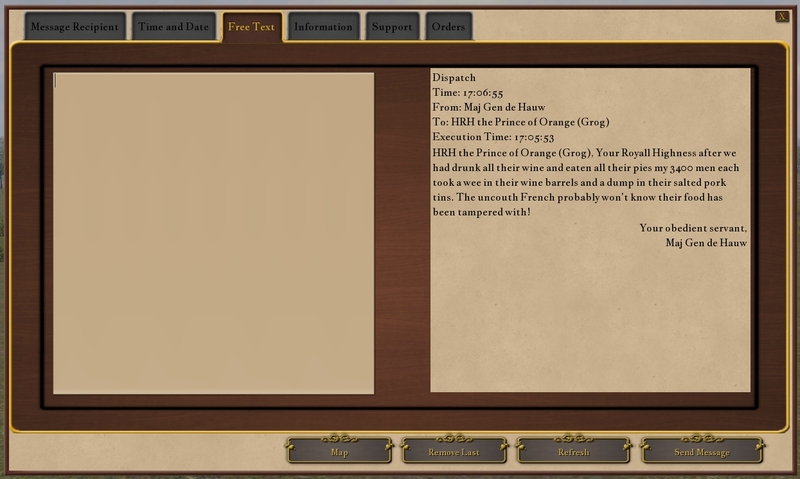 When I did arrive to hit the French on the flank who were assaulting Curt it was piecemeal... and the French division on my flank (Phil) prevented me from being too aggressive. I truly have had better outings as CinC and division cc but it was a ton of fun. Some screenshots from yesterdays PvP battle, mostly taken at the end when the pressure was off and we could relax a bit. It was a tough fight and the British acquitted themselves well. Their line held well and it wasn't until about 16:45 that it began to fray. About 20 minutes later the fat lady was in full throat. Curt lasted much longer than I thought he would, this being his first outing. He handled his troops well considering the difficult situation he was in. Had he not left the ridge and attacked LHS it would have been a harder fight for us. Personally, if I were Curt, I'd heap all the blame for this mistake on the CinC. Now a few comments on my British counterpart. Now, now, don't be too hard on yourself. You're air force. What do you know about maps? Really? That wasn't my feeling at all. When I saw you attack, I got this warm, fuzzy feeling knowing that the battle was ours. I actually thought it was Curt attacking at first. But on calm reflection while watching Phil have his way with you, I knew it had to be you. Pat - I am curious - you first came up the E-W ridge against my right early on and we had a bit of a ding-dong with your cavalry. Later on, maybe an hour...? You attacked along the same route again and we had another of those rock-paper-square games but all the time Phil was on your left moving forwards and I was just wondering why you attacked either of those times. 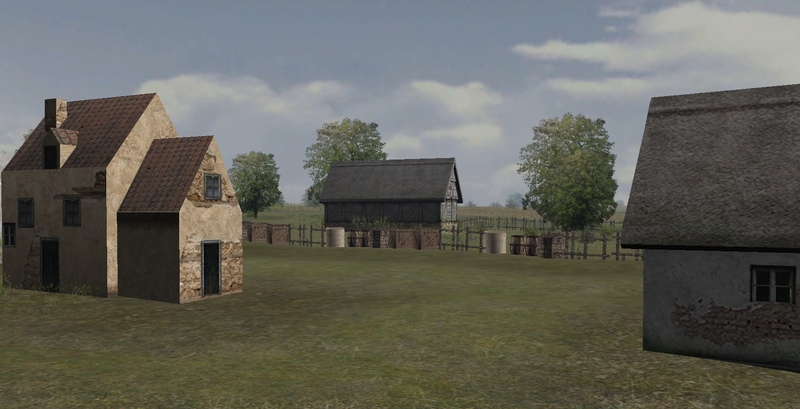 You guys had the Hougoumont and Wellington's X-Roads objectives both held yet you continued to be aggressive all through the fight. I am just not sure why you did that. You were putting the pressure on so hard in mid-game that I wasn't sure we could trash you quickly enough to make our counter move in the last 20 minutes (which was our plan). Kevin had faith, but I did not... well, not until he gave me most of the silver dinner service liberated from the Belle Alliance Inn, then I had faith. I had to do a deal with the devil Kevin that I'd accept the Belle Alliance silverware as my reward for the victory as long as he had the pick of the Allied baggage. I know I got a bad deal but such is the burden of being a mere division commander. At least I did better than poor Taff who got seriously abused by Mike. With no lube. My original intent was to hit you in the flank with my whole division as you advanced. At the time, Phil was not in view but unfortunately all I had was my cavalry available. So I wanted to take some pressure off Curt with what I had. 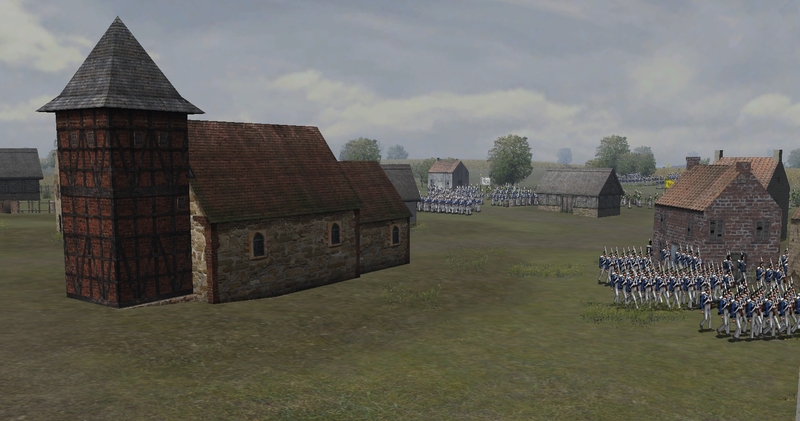 When Phil arrived he was not attacking yet and so I could take a portion of one of my infantry brigades plus a battery back with the cav to hit you again. At that point I hoped it might be enough to stop you so we could reform in time for Phil. Long story short, it did not quite turn out that way. You held. And other bad things happened. And I lost track of events after the second bottle of whiskey, fell off my horse sobbing I think. Woke up in a barn. Thank you for making me rehash horrid memories. I dont want to describe anything else now. I need some meds. Well I had Kevin sat beside me all game offering frequent hints and threats. If you need meds I need to hire a hit man.